It was quite a shocker when a new entry in the Double Dragon series was announced at the end of last year. I believe the last iteration of the main series was about 27 years ago with Double Dragon III. That long period of time between the two entries have spawned many series spin-offs, such as the fighting game (Double Dragon V), a handheld game (Double Dragon Advance), and the most-recent addition (Double Dragon Neon) in 2012. These spin-offs have tried to improve and even modernize the series, but players and critics have had mixed reviews; it’s either you like them or you hate them. So, it was quite refreshing to hear that the fourth iteration was going to stay true to the Double Dragon roots we all know and love. 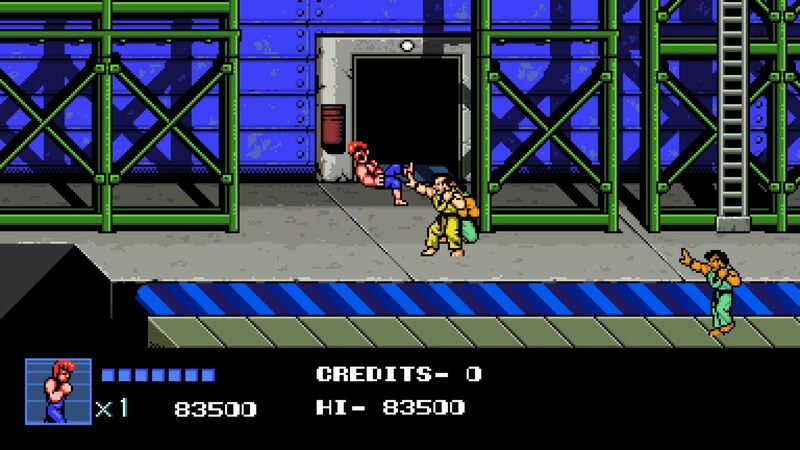 However, after playing the main game and the other game modes, I’m not sure Double Dragon IV is going to be loved much. 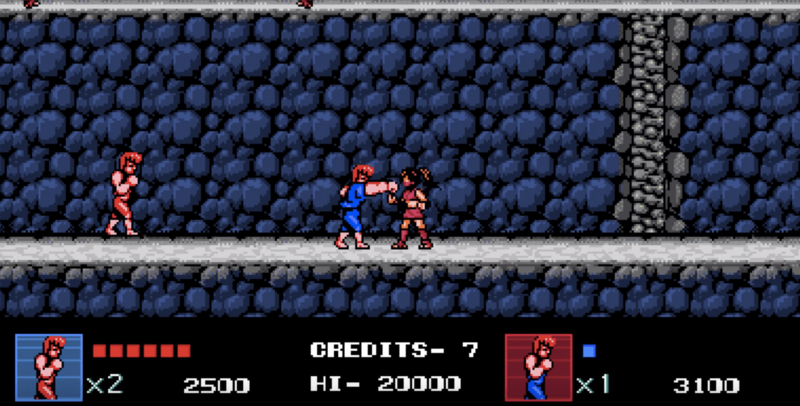 Sure, the graphics stay true to its Double Dragon II roots, but it also stays true to the original Nintendo-style gameplay and design which are anachronisms that have not aged well. It almost seems like my PlayStation 4 became an Nintendo Entertainment System after booting up this game, and that is NOT a cute analogy, especially since a PS4 engine is astronomically better than a NES engine. Now, I know some people might disagree with me. The PlayStation Network has been porting out a lot of retro games, some even dating back to the Super Nintendo, and these titles are classics that have inspired many modern games. What disappoints me about Double Dragon IV is that the developer, Arc System Works, did not make a single improvement from Double Dragon II; it almost seems like this was a sequel made back after completing the second iteration, but for some reason the game’s coding got lost in someone’s floppy disk and was only found a few months ago. Perfect time to release to the masses! But I digress. Let me talk about the game. 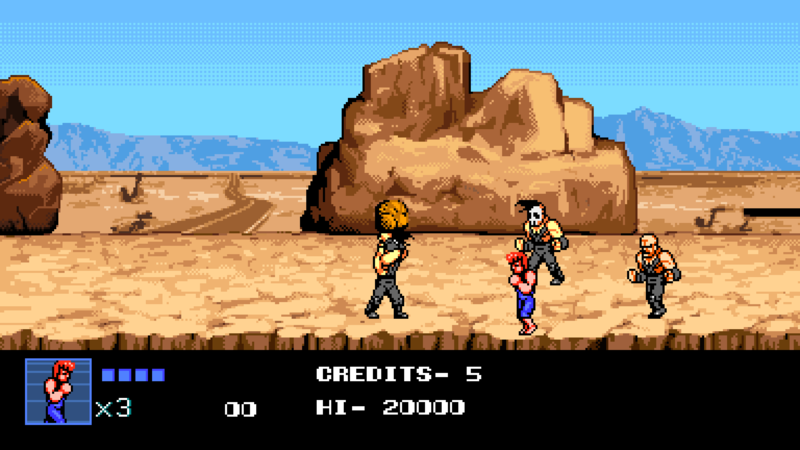 Double Dragon IV picks up after Billy and Jimmy defeated the Shadow Warriors (which is Double Dragon II, by the way). A gang called The Renegades kidnaps Marian (you know, Billy’s girlfriend who gets shot to death and mysteriously gets resurrected back), so the brothers go after the gang to save her. The journey takes the brothers on 12 short missions where they encounter familiar and new enemies including cheap final bosses that use guns that can almost instant kill. The cheapness of these bosses brings me to one of the most frustrating gameplay elements: the fighting is completely unchanged from the NES version. Enemies can easily knock you down because of a terrible hitbox, and almost all enemies can take off your health by camping you. This is especially frustrating when enemies are camping you as you ascend the ladder; you already know you’re going to get hit no matter what you do. Oh, and there’s no difficulty settings by the way, so your worst enemies are those who can throw projectiles seeing as how most of them will spam that attack whenever they can. Fortunately, you can sometimes fight cheapness with cheapness as well. You can also camp the enemies when they are knocked down. But just hope that your punches and kicks land, since sometimes the enemies can magically avoid them. Also, since this is such an unchanged game from the NES era, and I’m banking on the fact that no one at Arc System Works has the title of a game tester, there is a glitch where you can either go all the way up or down on a planar level and enemies will just stand there and not hit you. It then gives you that fighting chance to briefly hit the enemies, attack, and retreat to safety. The other issue is the platforming. Oh boy, the platforming. There’s at least two missions where you will be faced with a section where there are rotating gears and disappearing ledges. If you played the NES Double Dragon II, the problem with the jumping platforms is that you have to have a little pixel of a space between yourself and the step in order to jump forward. Well, that problem also persists on Double Dragon IV. It is especially troublesome during the gears and ledges sections, because not only is it a timing issue to cross but you also lose a whole life if you fall off a ledge. 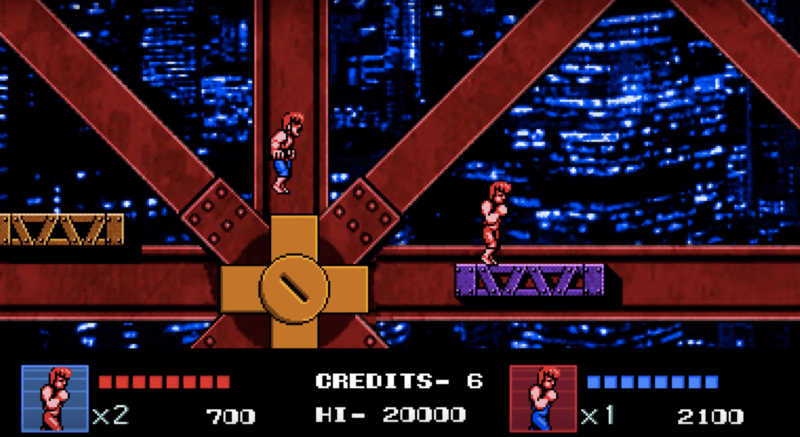 The two other game modes provided in Double Dragon IV are the tower and duel. The tower is an endless survival challenge where you can unlock other characters after progressing a certain level. You can actually unlock the Mysterious Warrior (which is also the final character that can be unlocked) after completing the 40th floor. Unlocked characters can be played with the story mode, and you can earn trophies for completing the story missions with each of the unlocked characters. You can also use the unlocked characters for the duel mode. You and a friend can pick unlocked characters and basically fight each other to the death. Unfortunately, Arc System Works did not incorporate online multiplayer capabilities for this game. You’re stuck with couch co-op or, if your Internet connection can handle Share Play, you can do that as well. I feel like online multiplayer is such a missed opportunity for this game. In all, I just feel like Double Dragon IV should’ve came with someone’s NES Classic that he/she got for Christmas. It just doesn’t seem to fit a PS4 (or PS4 Pro for that matter) with its retro gameplay elements and design that were not polished and came with missed opportunities. It seems to rely heavily on the nostalgia factor or the brand. I almost want to say that it also seems to be lazy to just release a new addition to the series after 27 years and have it this bad.